A botanical print is the perfect choice for a holiday or for when you want to keep that holiday vibe going at home. 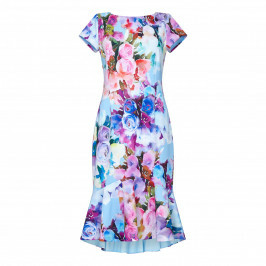 This stretch jersey dress by Tia has a vibrant botanical print that really pops out from a calm grey background. With a cowl neck and a cap sleeve it will look fab teamed with a wedge sandal - bring the glamour to that Saturday afternoon barbeque. 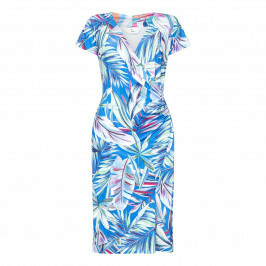 Botanical print cowl neck stretch jersey dress. Cap sleeve. 95% Polyester, 5% Elastane. Delicate Machine Wash or dry clean.